Concept Residential is a proactive, fast growing estate agency covering the Boroughs of Barnet, Enfield and Broxbourne. Our success is built on dedication, honesty and hard work as well as continued recommendations from personal and corporate clients alike. We pride ourselves on great customer and professional service coupled with dedication and focus in providing an excellent residential sales, lettings and property management experience. We understand selling or letting a property can be an anxious time for a homeowner, whether your own home or an investment unit. 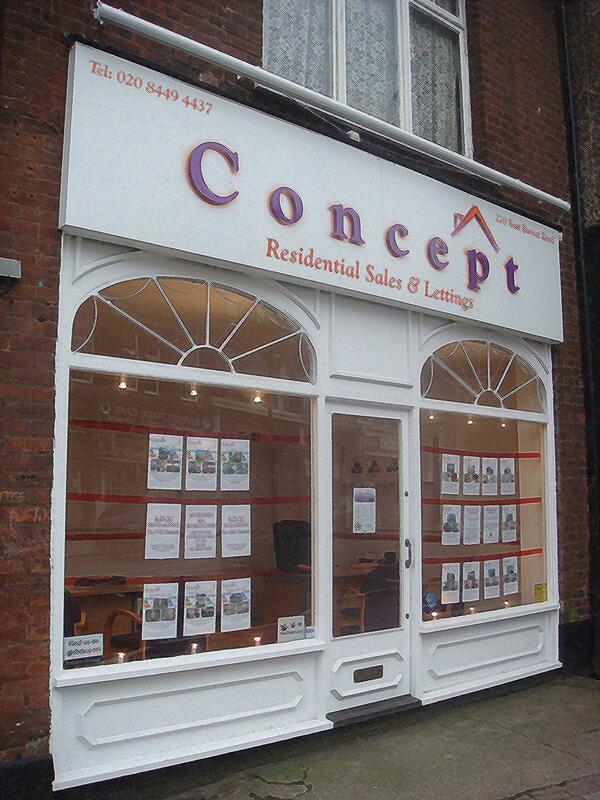 Concept Residential has had great success in matching prospective buyers/tenants to properties. We firmly believe that this is because of our well managed applicant database, passion to ensure a great sales/lettings experience and maximum exposure on many advertising fronts, all combined mean both more viewings and higher sale/rent values! We will guide you throughout the process helping you to optimise the performance of your asset through the range of services that we offer. Residential Sales & Lettings Offers available for limited time only. Please contact us for more information.